We take great pride in the quality of our work. 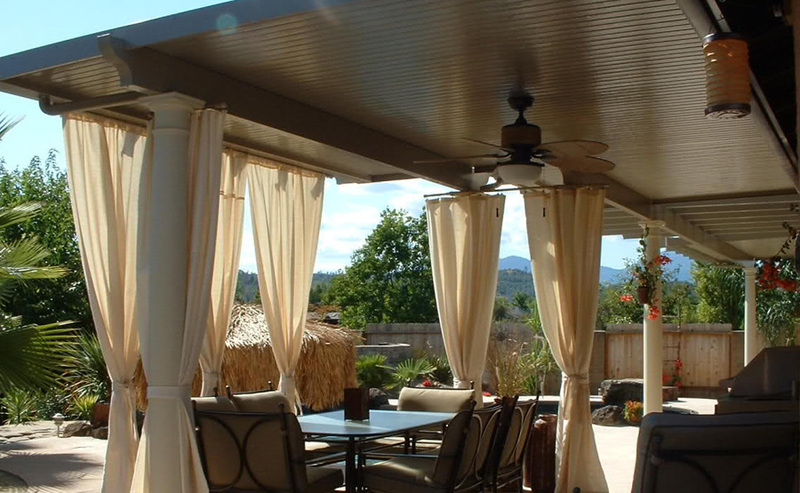 Patio covers are installed very carefully and extra caution is taken to provide a durable patio cover for you to enjoy. Header is fastened to your joist. We put the correct pitch for your situation to ensure water drains properly. Extra screws, bolts and anchors are used for stability. 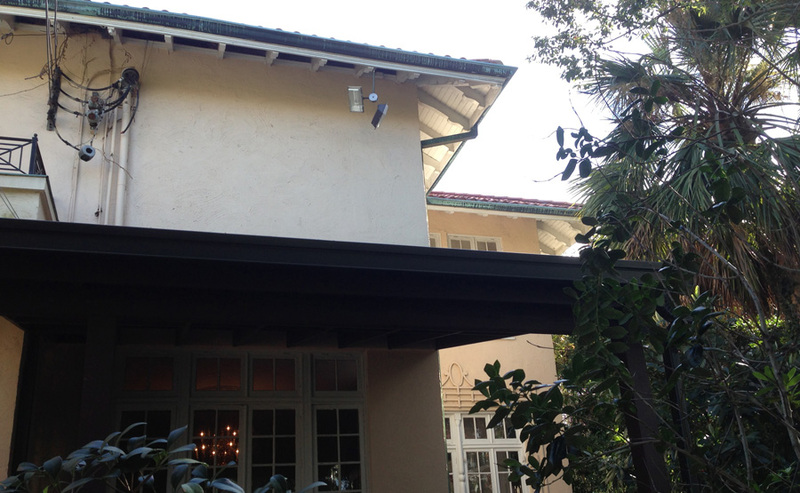 We use extra caulking and flashing to ensure a proper seal. Unlike other companies, we caulk all screws above patio cover. The seams of our insulated patio covers are caulked and taped. We go beyond the manufacturer's recommendations. Have an RV or boat? Tired of getting wet when you get home? Our carports are a great investment. Carports keep your vehicles and recreational vehicles safe. Carports can be attached to your home or free standing. Insulated and non insulated aluminum patio covers are available in three different colors. Patio Covers are great for entertaining, energy efficiency, protecting doors and for staying out of the weather. Aluminum flat pan patio covers come in three different thicknesses: 024, 032 and 036. Choose between a wood grain or smooth patio cover finish. Rolled formed or extruded gutters are available for your patio cover. Patio covers are designed with a 130 mph wind load. 20 year warranty on product. 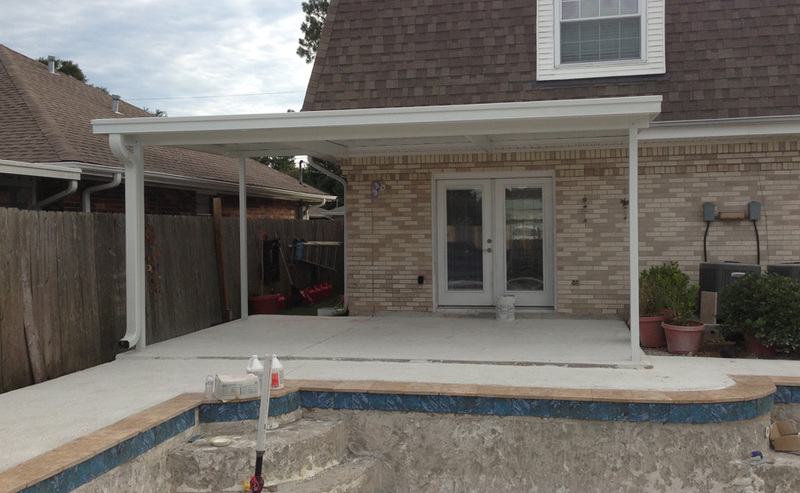 Patio cover post can either be anchored to concrete or concreted in the ground. Choose between 3" or 4" structural and non-structural post. Decorative columns can be added. Patio Covers are practically maintenance free. Enclose patio cover and make it a bug free screen room. 3" insulated patio cover with an R-12 insulation value. Insulated patio covers are resistant to dents and hail damage and can be walked on. Insulated patio covers reduce noise and are cooler in the heat. 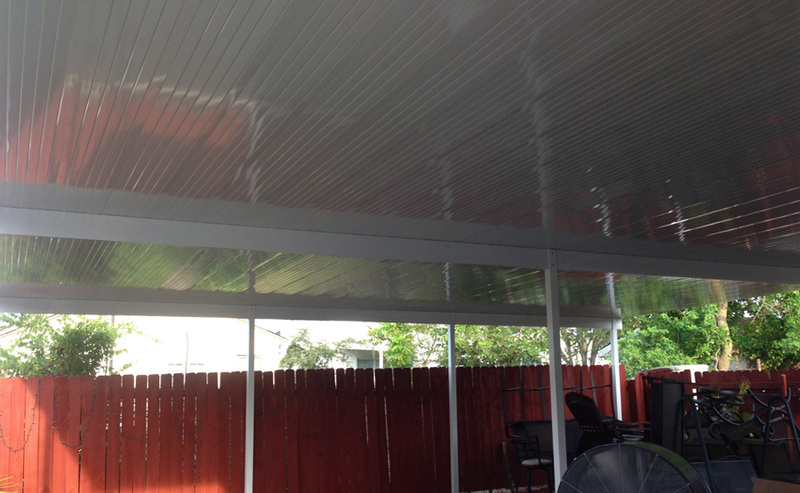 Insulated patio covers have a hidden fan beam in between the aluminum skin. Enclose your insulated patio cover and make it a relaxing room and add value to your home. 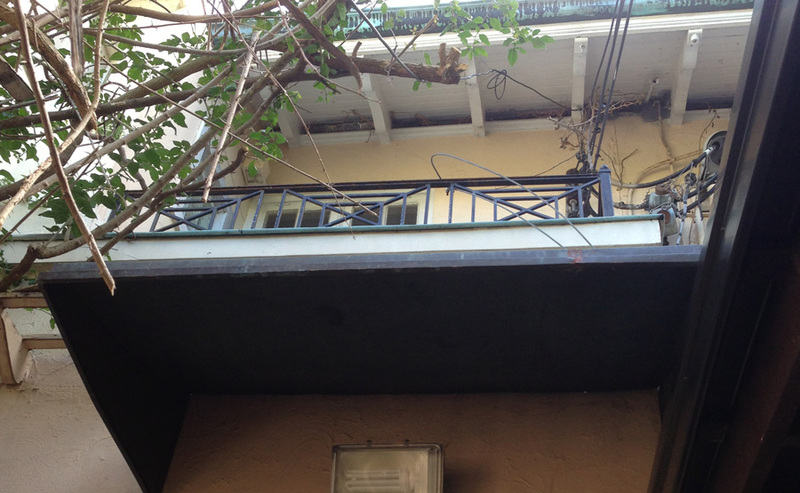 Choose between 3" or 4" structural or non-structural. Wrap post for an elegant look. Enclose patio cover and make a glass room.